In addition to the regular community acupuncture clinic, we offer periodic classes, series, and events. Tuesdays 6-7pm. 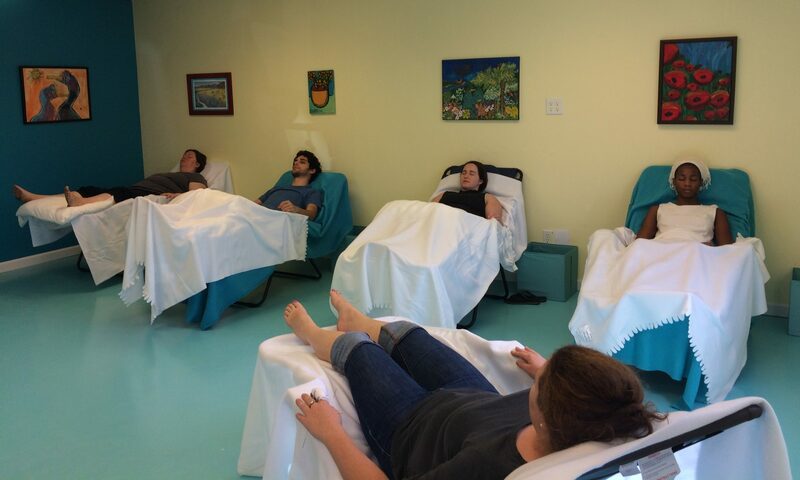 Receive acupuncture in a group setting while listening to guided meditations to reduce stress and anxiety. $100 for 6-week series or $20 per session. Current series began May 8 and runs through June 12. More information. Reserve a seat for a session or sessions in this series using the online reservation form. Next series will be announced in mid-June. Receive acupuncture in a group setting while singing along to music. Singing opens up the lungs, stimulates the vagus nerve to reduce the effects of trauma, and lowers anxiety and stress. Series will begin in mid-July, details to be posted soon. If you’re interested in the singalong series, you can fill in this short survey to vote on the day/time it will be offered and get an email when the details have been finalized.